Tw-In Stitches: I've been teaching for 21 years! Free Pattern Celebration - OFFER HAS ENDED! I've been teaching for 21 years! Free Pattern Celebration - OFFER HAS ENDED! To celebrate 21 years of teaching, I am offering you a free pattern! I have exactly one paid pattern in my Ravelry store and it is yours for free until Friday at 11:59 pm PST. OFFER HAS ENDED! 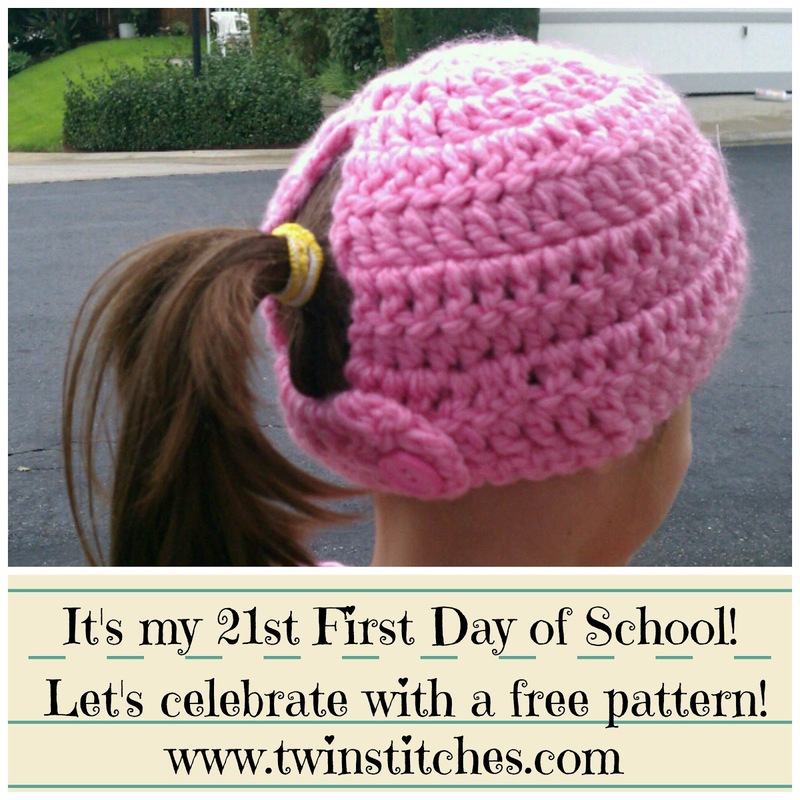 Meet the Toasty Warm Ponytail Hat! Made with bulky yarn, this crocheted hat is made so that you can wear your ponytail high or low. Dress it up by adding flowers or fun buttons. Please feel free to share the link to this page, but please do not share coupon code on its own. Thank you. I have 2 great granddaughter that will love this little hat! THANK YOU, THIS HAT IS A GREAT IDEA. Is the code still good? I'm asking cause it is not working when i try it. Love the hat and my daughter would love this hat. Thanks. Hi, Christine! No, the code was only good until September 4.